I try and clean my dryer vent at the house once a year in the springtime. Our gas dryer vent is over 24 feet long and has several elbows in it. I have always been concerned about it's long length potentially creating a fire hazard, if the metal duct ever became clogged with lint from our gas clothes dryer. A few years ago I invested in a Linteater from Amazon and a 12 foot extension to clean out the dryer vent. It works well. This year I shot a video of the cleaning process. It only took about fifteen minutes to clean the whole run of aluminum rigid duct. Just make sure you always keep the drill spinning in the same direction, so you don't unscrew the brush in the middle of the run. 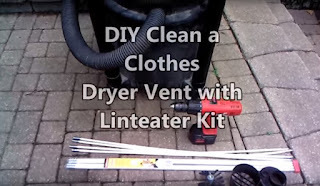 I hope the video helps you understand how you can easily clean your dryer duct with a shop-vac, cordless drill, and the Linteater kit. 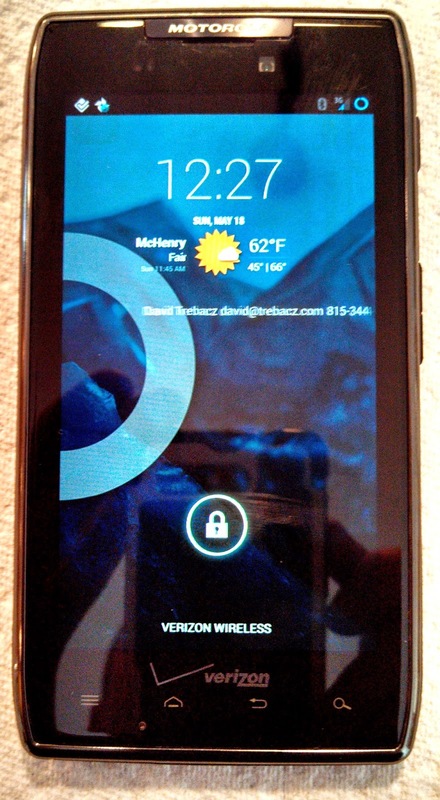 I loved my Motorola Droid Razr Maxx XT912. I bought it almost two years ago. The phone featured good performance, ability to use as a internet hotspot, and was part of my unlimited wireless plan with Verizon. I really wanted to keep those features, but performance and reliability started to suffer. Performance Was Horrible After a few recent updates in the fall the phone started to become unreliable and would freeze up when doing the most mundane tasks. It would sometimes take my favorite navigation app Waze (http://blog.trebacz.com/2012/08/android-apps-for-your-road-trip.html) 15 minutes to acquire a GPS lock. Foursquare checkins would also take 5 minutes.The battery would drain in a couple hours when traveling -or just out of the blue on some days at work.